Technology is not just a subject at Universal – it is a way of learning & a way of life! 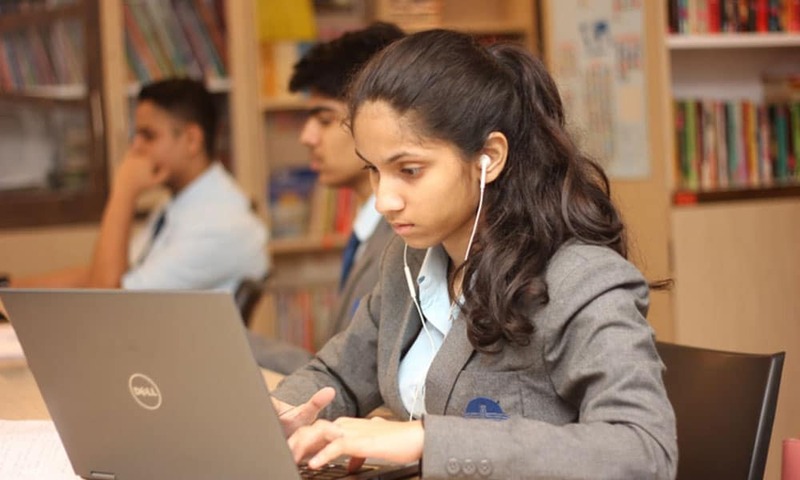 At Universal, Technology is an integral part of bringing together the learners, teachers, parents & community & not just a parade of new gadgetry. Indeed, Universal & its staff have earned widespread acclaim for being the digital revolutionaries in the education space. We are continuously searching for fresh, exciting material and resources to integrate into our ever-evolving curriculum. 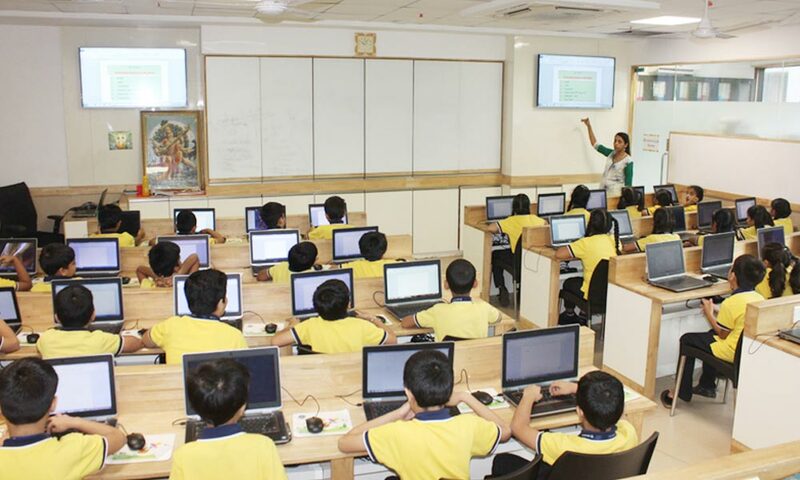 The school has created an Information Technology Responsible Use Policy which needs to be adhered to by all students. Cyber safety is a part of our curriculum and regular programmes regarding the same are also conducted with students, parents and staff members. In our Early years, students and teachers have access to tablets that are used on a one-on-one basis to research, explore and create. There are bi-weekly slots that are dedicated to learning on tablets. It is during the technology class that students learn to explore a variety of content, practice Coding through ‘Scratch Junior’ and work on concept specific interactive books, games and projects. In the primary and secondary school, students have access to the Laptop Lab where each student works on a structured ICT curriculum. Students create assignments and a variety of projects including presentations, web pages and story books as part of their coursework. Students learn to ‘Code’ as a part of their curriculum through the ‘Scratch’ programming language. In the IBDP, students are required to bring their own device (Tablet / iPad / Laptop). They also access the Laptop Lab regularly for their ITGS / Computer Science subjects. All course content of the IBDP is delivered via these devices including textbooks, subject-specific content, videos and other resources. Students complete assignments and submit digitally. Audio Visual technology is a vital part of the new and modern classroom. It is a powerful tool that enables teachers to present information and complex ideas in an easy to understand method. Students are able to grasp more effectively as their curiosity and varied learning needs are taken care of. 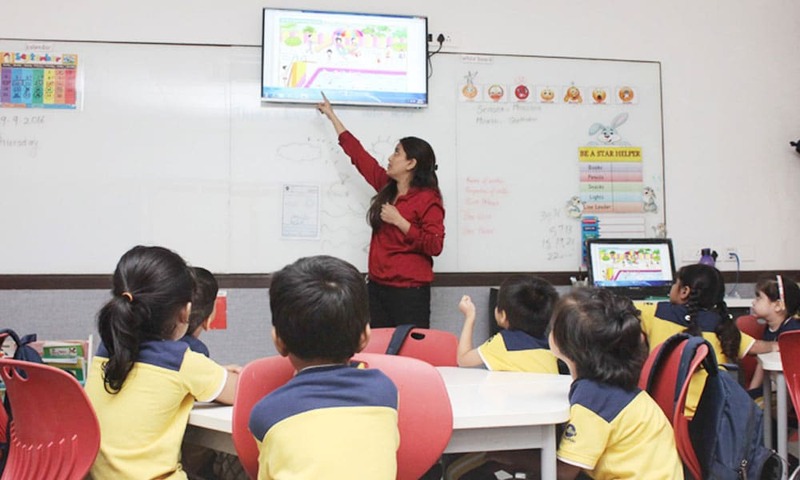 All classrooms of the school are equipped with LED screens and a desktop or laptop.